We are an eminent manufacturer, exporter and supplier of a huge range of high quality Color Coated Steel Tile. In this huge industry, with the passing of time, the level of competition is getting higher. This is because of the changing demands of customers. Thus, keeping the varying requirements of the market, we make sure that our Color Coated Tile cater to those requirements. Further, we use the finest raw material to manufacture our range that are procured from a reliable base of vendors. As a result, our excellent Color Steel Tiles are known for their base material, thickness, width, surface treatment, design, etc. 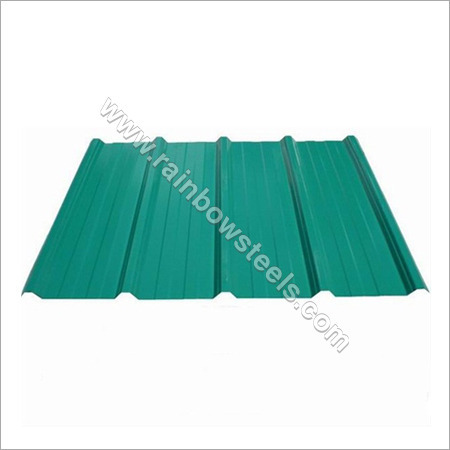 These are widely used as construction material, such as roofing and other household applications.